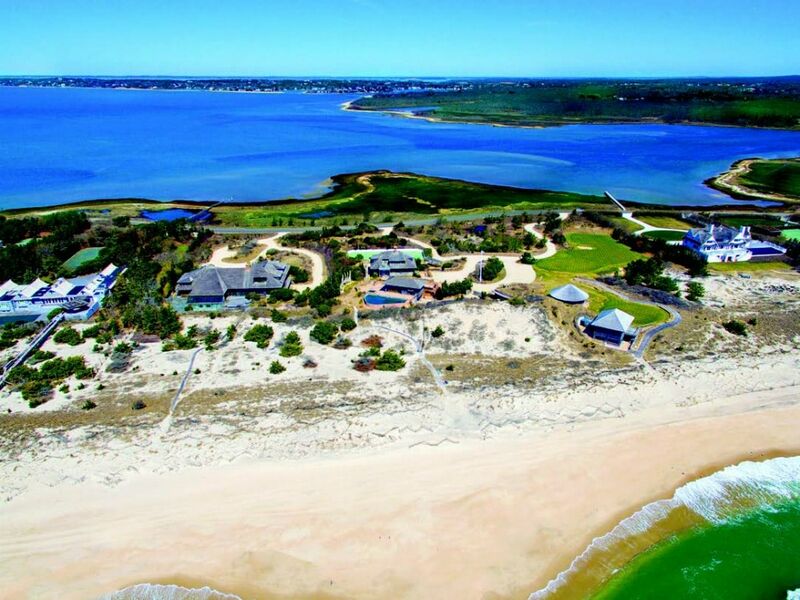 The most expensive listing in the Hamptons—a one-of-a-kind estate sitting on 14 acres with 700 feet of oceanfront—is the trophy property of the summer. The Kennedys, the Astors, the Bushes—they have a lot in common, including sprawling family vacation compounds. Sometimes one house just isn’t enough, and what you’re seeking is privacy and escape for multigenerational gatherings of you and yours. On the market for $150 million, this Meadow Lane property in Southampton offers one lucky brood the chance to begin an epic Hamptons holiday dynasty for generations to come. Take note: out east, that opportunity doesn’t come around too often. Listing agent Harald Grant of Sotheby’s International Realty agrees. “The dune system along this section of Meadow Lane helps keep a solid distance between the ocean and the property,” he says. “This section of the beach is not busy with beach vehicles or casual sun bathers, so this property can feel like its own compound, or better yet, its own island.” Built in 1994, the property has three separate lots, a bayfront lot totaling 14 acres, 16 bedrooms, 1 full bathrooms and nine partial baths. This multitude of space is spread out across a 12,000-square-foot main residence with an indoor pool, an all-weather hard court, pool and spa house and two golf houses near dueling golf greens. Grant refers to this parcel of land as a “trophy offering in one of the world’s most prized trophy locations.” The top broker speculates that “the likely buyer for this is someone who simply must have it—since it is like no other.” It is the ultimate multi-dwelling home for someone with their eye on the prize. Consider the additional bayfront lot with unobstructed views, aside from the 700-plus feet of direct oceanfront property, are all accessible by three private walkways that give you the chance to stroll the beach gazing up and down the Atlantic.